Vanilla Beer is offering a 2/3 bedroom house for sale in the small town of Esperaza, Aude. 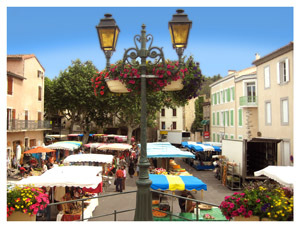 Esperaza is graced with three little food stores - the Huit à Huit, le Petit Casino and Verdie et Fils, so you won't have to drive miles to get supplies - though there is no doubt it is cheaper to stock up in an out of town supermarket of which there are two close by - Intermarché and Champion. There is a butchers, Chez Charlies: 2 bakers; 4 hairdressers and 2 tabacs and finally a richly stocked Sunday market for anything else. You can also read more about Esperaza. Esperaza is in the department of Aude (department 11) and nearby towns include Couiza, Quillan and Limoux. There are regular flights from Carcassonne and Perpignan airports (Carcassonne is 35km away, Perpignan is 55km). The property itself is completely decorated and renovated, contains a fitted kitchen, new wiring and a new roof and is for sale for only 69,000 Euros. The Esperaza property is on 4 levels and has a fully fitted kitchen with oven, washing machine and microwave. There is a dining area, 2 bedrooms and a lounge and the possibility of buying some of the furniture in the house by arrangement. On the 1st floor is a bathroom with traditional clawfoot bath, WC and wash basin. On the 3rd floor there is also a shower room. 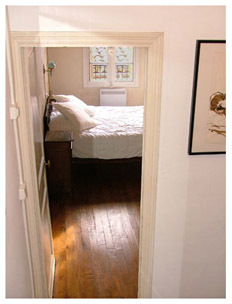 If you would like to make an enquiry about the property, please contact Vanilla Beer on +33 679 52 48 44, email vanillabeer@hotmail.com or visit www.southfranceproperty.net.